Drug resistance is a major concern worldwide. Many drugs, including antibiotics of ‘last resort’ such as vancomycin and daptomycin, are Peptidic Natural Products (PNPs) that have an unparalleled track record in pharmacology. Many antimicrobial and anticancer agents are PNPs, but discovery of new PNPs is a difficult challenge – both experimentally and computationally. 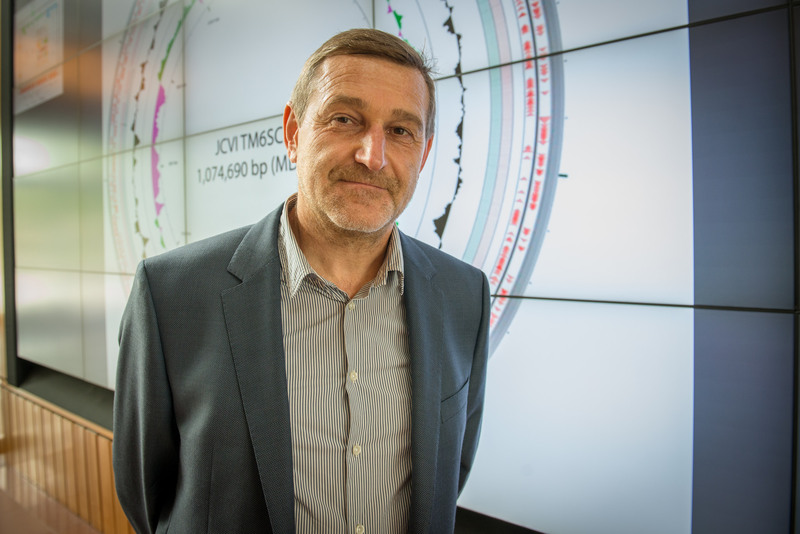 Corresponding author and CSE professor Pavel Pevzner is a longtime participant in the Qualcomm Institute. In a paper* published in Nature Microbiology on January 22, a team of American and Russian computer scientists described a new algorithm that identified an order of magnitude increase, or roughly 10 times more PNPs than all previous studies. Pavel Pevzner, a professor of computer science and engineering at the University of California San Diego, is the corresponding author on the paper. PNPs represent one of the last bastions of the complex compounds that, until recently, remained virtually untouched by computational research. 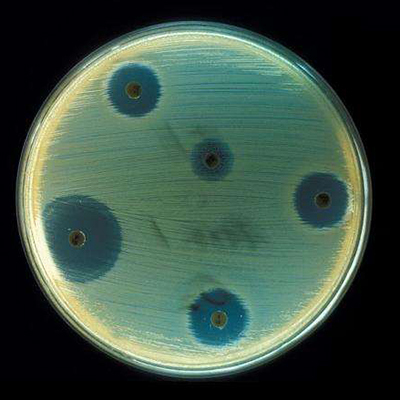 These compounds are produced by bacteria and fungi in a battle for survival and they offer great potential to be natural antibiotics. With antimicrobial resistance becoming a global concern and medicine eager for new antibiotics, innovative methods for discovering natural product antibiotics are becoming of utmost importance. In the study, researchers describe VarQuest, a novel computational approach for PNP identification. VarQuest can process immense amounts of mass spectrometry data (all spectra of natural products ever generated and made publicly available) in a single run. As a result, VarQuest can be applied in high-throughput discovery pipelines such as the recently launched Global Natural Products Social (GNPS) molecular network. GNPS already contains over a billion mass spectra collected worldwide, a gold mine for future discovery of bioactive compounds. In contrast to existing competitors, VarQuest is able to identify not only known PNPs but also their novel variants, which are sometimes more clinically effective. VarQuest analysis of the entire GNPS revealed an order-of-magnitude jump in the number of PNP variants compared to all previous PNP discovery efforts. Moreover, VarQuest revealed a surprising diversity of PNPs that may reflect evolutionary adaptation of various bacterial species to changing environment and competition, e.g., a continuous change in the repertoire of variants of peptidic antibiotics in response to developing antibiotic resistance. 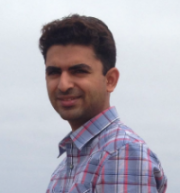 UC San Diego CSE alumnus Hosein Mohimani is now a professor at Carnegie Mellon University. Prior to joining the Carnegie Mellon faculty in October 2017, Mohimani was a project scientist in the Computer Science and Engineering department at UC San Diego, working under Pevzner in the NIH-funded Center for Computational Mass Spectrometry. Mohimain is also a UC San Diego alumnus (Ph.D. ’13) from the university’s Electrical and Computer Engineering department.